Robberto is a talented emerging Italian artist that I have been not only following but also collecting. 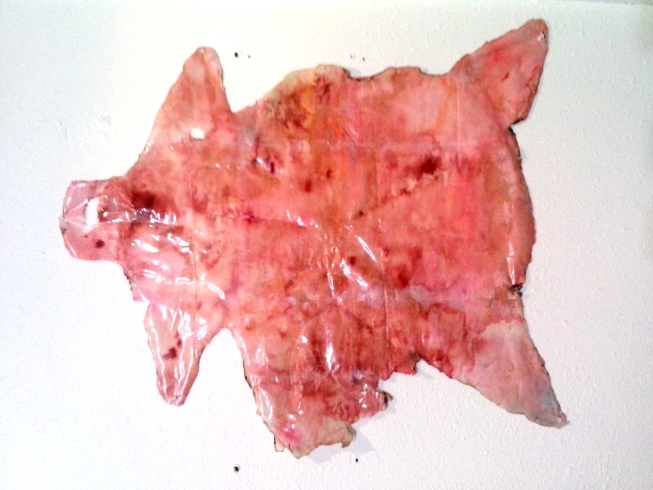 I recently wrote the text for his exhibition Fake (Skin), now on at Madhood Temporary in Los Angeles. I posted it below along with some pictures that Robberto sent me as a preview. For his first solo show in the United States, Robberto is presenting a new series of work realized during his stay in Los Angeles. 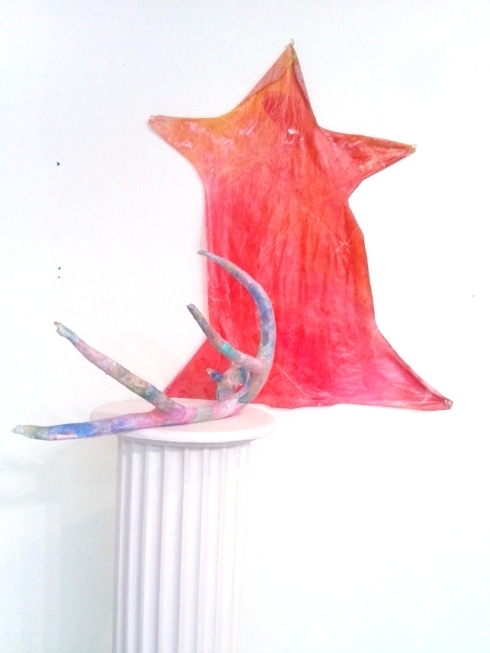 The artist decided to go deeper into this duality and study the etymology of this expression, finding out that buck is the abbreviation of buckskin, a common medium of exchange in trading between the natives and the Europeans. There are documents from 1748 saying “Every cask of Whiskey shall be sold to you [Indians] for 5 Bucks.” The transition from buckskin to dollars seems only natural. 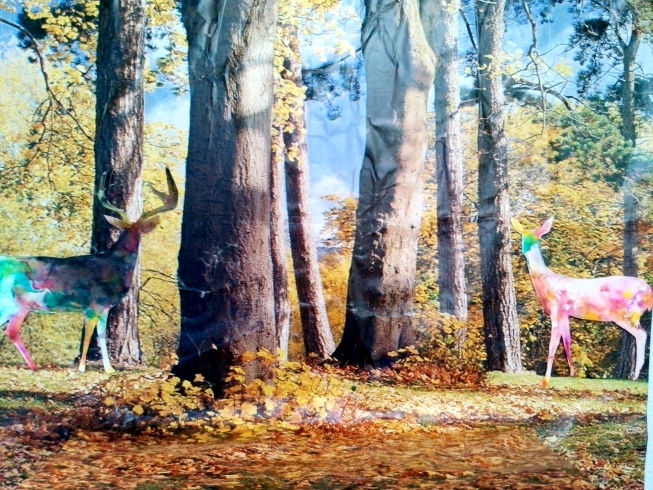 This finding leads the artist to think about the perception of wildlife and nature in the city of Los Angeles. He reached the conclusion that the nature in town, is just a fake perception of the real natural environment and that the trees, the water and the animals have just been pushed in 150 years, a really short time, to cohabit together with 20 millions of peoples, this created in him a feeling of displacement. This new work delves around the conception of fake (not natural). From palms to bodies, everything that supposed to be natural in Los Angeles looks beautifully fake to the artist. This observation led Robberto to develop a further step for his artistic discourse, previously focused on the natural world. 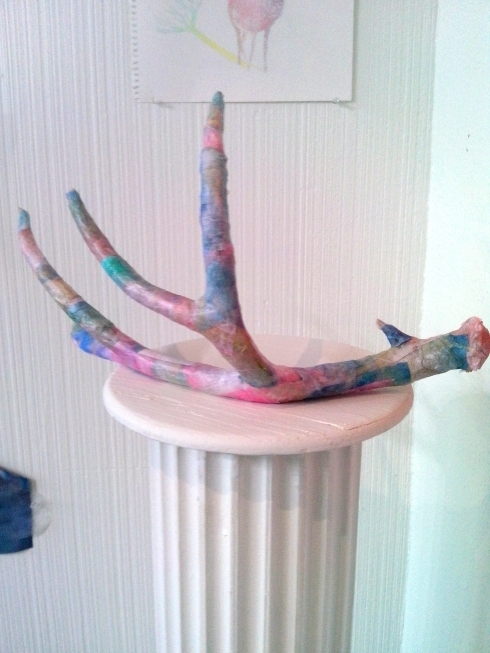 For this exhibition, Robberto invented a fake deer, not made with the normal colors that deer has for hide in the nature, but a colorful one, that instead of hide, shows his beautiful colors in town. On a formal level the artist was deeply influenced by the American art history, that explored the colors and their perception. To give a sense of artificial, his matte, earthy colors leave room to fluo shades. 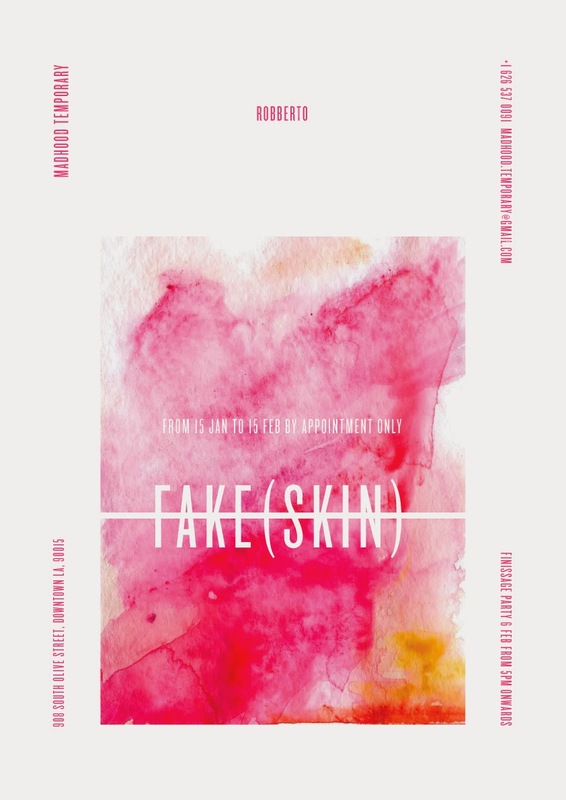 The irony of the linguistic, so peculiar to many Italian artists, close the circle with the title of the exhibition ” Fake Skins”. On one side, the title is referring to people with plastic surgery. On the other side Robberto is playing with the conception of the Italian immigrant coming to America to “make bucks”. He would make “fake bucks” instead. from January 15th to February 15th, 2014. By appointment only. 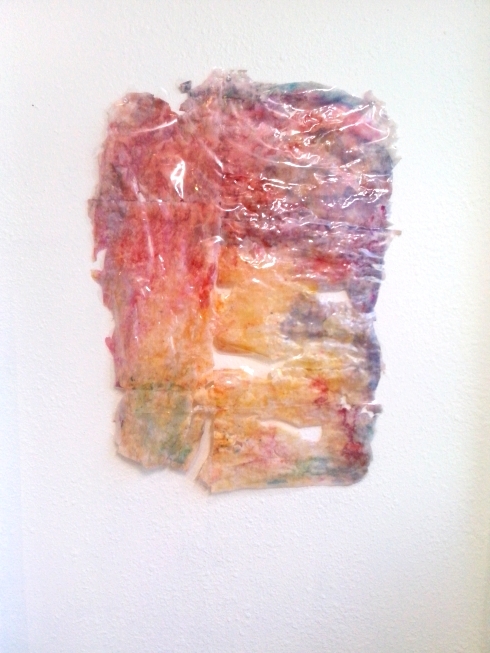 finissage party on February 6th from 5pm onward.